The Words of a Human? Although it is proven that the text of the Quran has remained intact till today, how are we sure that that the words actually originated from God and not some other source? This takes us to look at the authenticity, authority, or source of the Quran. 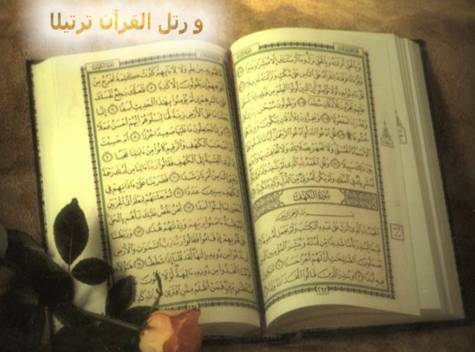 Concerning the authorship of the Quran, Muslims believe that it was revealed verbatim (i.e. word for word) by God, to Muhammad, may God praise him. Non-Muslims, however, who do not support this view, can have no differences with Muslims concerning the fact that the Quran was at least first witnessed to be uttered by Muhammad, a Meccan Arab in the 7th century CE and, as proved above, there have been no changes to the records of his utterances since then. Muslims’ claim of “internal evidence” for the divine authorship of the Quran, i.e. from statements to that effect in the Quran itself (e.g. Quran 4:82; 6:19; 6:92; 27:6; 45:2, etc. ), is understandably looked upon with skepticism, as nearly anyone can quote passages from his or her scripture that claim the scripture in question is revelation from God. We are therefore forced by reason and objectivity to look elsewhere for “external evidence” of the Quran’s divine source or authority. The simple proposed structure for the presentation of this “external evidence” is an elimination process, where we get to the answer of the question – “Who is the author of the Quran?” – by eliminating all alternative answers to this question which are definitely implausible. In other words, the definite or (at least) most probable author or source of the Quran is identified by eliminating unacceptable alternative candidates. The fact that Muhammad could neither read nor write (Quran 29:48) is well known and uncontested by even his non-Muslim contemporaries and present day historians. He had no schooling or teacher of any kind. He had never been known to compose oral poetry or prose. The Quran, with its all-embracing laws and freedom from all inconsistencies, has its greatness acknowledged even by non-Muslim scholars. Its contents treat social, economic, political and religious legislation, history, views of the universe, living things, thought, human transactions, war, peace, marriage, worship, business, and everything relating to life - with no contradicting principles. The Quran has never been edited or revised as it was never in need of any revision or correction. How were such vast subject areas expounded upon with such precision by a 7th century Arab with no formal education or even the ability to read what scant material there may have been in his environment on such topics? Where and when has history ever produced an illiterate and uneducated author of such a scripture? Muhammad’s sincerity, truthfulness and integrity were so well known that he was even nicknamed “Al-Ameen” (The Trustworthy) by his pre-Islamic community. Not a single lie is recorded against him, and many modern Western Orientalists have themselves admitted that contrary to any deliberate deception, that the Prophet had a profoundly sincere conviction that it was revealed to him by God Himself is undeniable. If his integrity had been in question, and he was supposed to have been motivated by the desire for personal glory to produce the Quran, why then would he disclaim authorship and instead claim it was from God, especially when the pagan Meccans had conceded that no one could produce such a scripture (Quran 2:23-24, 17:88, etc. ), but only marvel at it? His enemies even offered him kingship over Mecca and any riches he desired if only he would stop reciting. If it was true that he desired his personal glory and leadership, why would he decline the offer when it was presented to him and instead prefer a life of humility, simplicity, persecution, sanctions, and even hostile attack by those who felt threatened by the Message of One God? There are other verse you may refer to, such as chapter18, verse 23-24, and others. Why would he embarrass himself when he could simply omit or favorably modify such verses in the Quran? They were certainly not to his advantage if his goals were power and prestige. The existence of such verses only proves that Muhammad was indeed a truthful and sincere Messenger of God! The Words of a Poet or a Teacher? Which fallible human being would write a book and challenge humanity to find discrepancies in it, as does the author of the Quran (Quran 4:82)? Would any sensible student after writing an exam paper add a note to the lecturer saying “Read my answers with care and find any discrepancies or mistakes in it if you can!”? The style of the Quran is simply that of the All-Knowing Creator. Furthermore, the Quran is a literary masterpiece of Arabic which was and remains unrivaled in its eloquence. Its rhythmic style, rhyme, near-haunting depth of expression, majesty, and “inimitable symphony, the very sounds of which move men to tears and ecstasy”, shook the foundations of a society which had prided itself on its oratory skills. Contests were held every year in Mecca for who could recite the longest and most eloquent pieces from memory. When the Quran was revealed, all such contests were brought to a halt, as there was no more competition. Like the miracle of Moses’ stick turning into a real snake which outdid the ability of all the Pharaoh’s magicians at a time when the Egyptians were noted for their mastery of sorcery and magic, and the miracle of Jesus’ healing of the blind and bringing the dead back to life which outdid the ability of all the doctors at a time when the Jews were noted for their mastery of medicine, the Quran was the Prophet Muhammad’s own miracle. How could such magnificent and unrivaled expressions emanate from a man who, for 40 years, was never known for any such ability? The mere existence of similarities between any two books is insufficient to prove that one must have been copied from the other. Both could have drawn information from a third common source, thus accounting for some similarities between them. This, in fact, is the argument of the Quran that God is the Source of all authentic revelation (Quran 4:47). Some scholars have noted that the only Christians the Prophet, may God praise him,, is recorded as having been personally introduced to prior to his mission did not spend long enough time with him to teach him of their scripture, and no other historical record mentions anyone who taught the Prophet from among the Jews and Christian. Furthermore, the Arabs of his time were very eager to discredit him. Hence, if there was any secret teacher, he would most likely have been exposed by them then. Furthermore, could the Quran have been copied from the Bible if they exhibit serious creedal differences? Regarding doctrines such as the concepts of God and prophethood, sin and forgiveness, the Quran differs significantly with the Bible. The Quran in fact addresses Jews and Christians directly when correcting what it states are corruptions in their own scriptures. Interestingly, Quranic revelations of doctrinal problems with Christianity were sent largely in the Meccan period, prior to the Prophet’s migration to Medina, where he would have encountered many more Jewish and Christian scholars. — mentions that the eventual dwelling of Adam and Eve on Earth was already part of God’s plan even before He created them (Quran 2:30), and not a sort of punishment (Genesis 3:17-19). Other significant variations can be seen in the stories of Solomon, Abraham, Ishmael and Isaac, Lot, Noah, Moses and Jesus (may the mercy and blessings of God be upon him). The Quran also mentions a good amount of historical information about which the Bible is completely silent. From which portion of the Bible were the following copied? · The stories of the people of ‘Ad and Thamud, and their Prophets, Hud and Saleh. · The dialogue between Prophet Noah and his son before the flood (Quran 11:42-43). · The dialogue between Abraham and his father (Quran 6:74), as well as between he and a king (Quran 2:258), and between he and his people (Quran 22:70-102; 29:16-18; 37:83-98; 21:57). · The mention of the city of Iram (Quran 89:7). · The Pharaoh of the Exodus having drowned, with his body preserved as a sign for people of future generations (Quran 10:90-92). · Jesus’ miracles of speaking from the cradle (Quran 3:46), and his producing (by God’s will) a bird from clay (Quran 3:49), etc. For further examples, see the following references from the Quran: 21:69, 2:260, and 3:37. Was It the Words of Satan or God? How could Satan so vehemently condemn himself? Is it really acceptable to common sense to hold the view that Satan would ask people to do good, to be moral and virtuous, to worship none but God, to not follow Satan or his whispers, and to avoid and struggle against evil? To hold such a view is clearly repugnant to reason, as Satan has only undermined himself through this means if he is the author. Even the Bible attests: “And if Satan has risen up against himself and is divided, he cannot stand, but is coming to an end.” (Mark 3:26) This argument applies to any “Satanic forces”, be they “evil spirits”, “deceitful aliens”, etc. Within the Quran are recorded facts about ancient times that were unknown to Muhammad’s contemporaries and even to historians in the first half of the 20th century. In scores of verses, we also find references to scientific wonders, some only recently discovered or confirmed, regarding the universe, biology, embryology, astronomy, physics, geography, meteorology, medicine, history, oceanography, etc. Below are some examples of modern scientific discoveries mentioned in the Quran. Readers who are interested in further examples, are referred to “The Bible, the Quran and Science” by Maurice Bucaille,“Struggling to Surrender” p.33-38, by Jeffery Lang, “The Quranic Phenomenon” by Malik Bennabi, “The Developing Human”, 3rd edition, by Keith L. Moore, “A Brief Illustrated Guide to Understanding Islam”, by I. A. Ibrahim, “The Sources of the Quran” by Hamza Mustapha Njozi, “The Basis of Muslim Beliefs” and “The Amazing Quran” by Gary Miller, etc. How many well trained modern scientists and geniuses with the aid of hi-tech equipment, satellites, telescopes, microscopes and computers were required to discover the scientific facts mentioned in the Quran, and over what time span? Is it even conceivable that any human being over 1,400 years ago could have produced a scripture with such information in it, let alone a person who had never been educated? Although the inability of man to encompass all the mysteries and complexity of creation is mentioned in the Quran (67:3-4), the revelation nevertheless seems to point to various natural phenomena as if urging human beings to enquire and verify what is said – again, with such an attitude of confidence that one can only assume the author is indeed challenging our disbelief. To be generous to the skeptic, perhaps one or two of the scientific revelations were the result of nothing more than a good guess or coincidence, but how probable could it have been that they all were? Comparing Quranic statements that deal with the physical universe with certain scientific notions leads us to discover profound similarities. But, more notably, as Dr. Maurice Bucaille observes, the Quran is distinguished from all other works of antiquity that describe or attempt to explain the workings of nature in that it avoids mistaken concepts. For in the Quran, many subjects are referred to that have a bearing on modern knowledge without a single statement contradicting what has been established by present-day science. Muhammad: We might start by eliminating Muhammad from the list of possible authors of the Quran. There is just no way that he could have authored the Quran in view of points 1, 2, 3, 5 and 6 presented above. Other Arab Poet(s), Scholar(s), etc. : We can also eliminate any other Arab from the list of possible authors in view of points 2, 3 and 6 (at least). Some non-Arab: The reasons for the elimination of any Arab from the list also eliminate any non-Arab scholar, poet or religious personality. Christian Monks or Jewish Rabbis (i.e. Judeo-Christian sources): This alternative source of the Quran is unreasonable in view of points 1, 2, 3, 4 and 6. Satan (or other deceitful spirits or aliens, or anyone on his side, etc. ): This option is also unacceptable in view of the points discussed, especially under 5. God (i.e. God): In the absence of any more acceptable alternative as source and author of the Quran, one is more or less forced by reason to accept the Quran for what it claims to be – revelation from God through His Prophet Muhammad, may the blessing and mercy of God be upon him, This position seems reasonable not just because it is the only option that cannot be objectively eliminated, but because it is only reasonable to expect that a book with such qualities and contents would come from man’s Creator and Guide. Of all the possible sources of the Quran, it is also only the last alternative – God – who even claims in the Quran itself to be the author of the scripture. The position, therefore, which holds that God is the author of the Quran still stands, and the challenge (or falsification test, Q.4:82) remains open to anyone to disprove the Quran’s claim to being revelation from God. 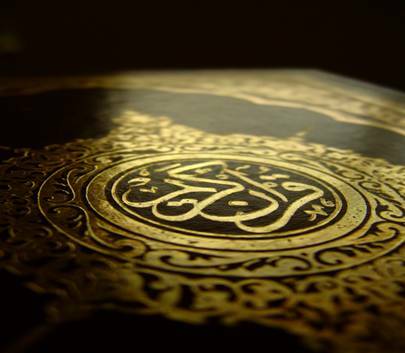 Having undertaken this task ourselves, the Muslim’s contention that the Quran is the Word of God appears not just a product of blind faith but, in fact, a product of very sound and reasoned judgment in light of all the available evidence. Indeed, after having assessed the evidence, it would be blind faith to contend otherwise! Note: The evidence for the Divine Authorship of the Quran is also evidence for the existence of the Divine. God must exist, unless a more reasonably acceptable author of the Quran can be produced! This is mentioned in too many places in the Quran to mention here. See. Quran 112,113,114 for an example (E). Saheeh Al-Bukhari Vol.6, Hadeeth No.504; Saheeh Muslim Vol.1, Hadeeth No.283. Bilal Philips, Usool at-Tafseer, Sharjah: Dar al-Fatah, 1997, p.127-128. eg. the Quran rejects that this Prophet was ever a worshipper of idols – compare Quran 2:102 with 1 Kings 11:4. The Bible describes the Great Flood as covering the entire Earth whereas the Quran describes the flood as a local event only, a description which is more consistent which scientific evidence - compare Quran 25:37 with Genesis 7:23. A critical difference is the Quran’s insistence that Jesus was never truly crucified. See Norman Daniel’s Islam and the West: the Making of an Image, UK: Edinburgh University Press, 1989, p.83, 94, etc.